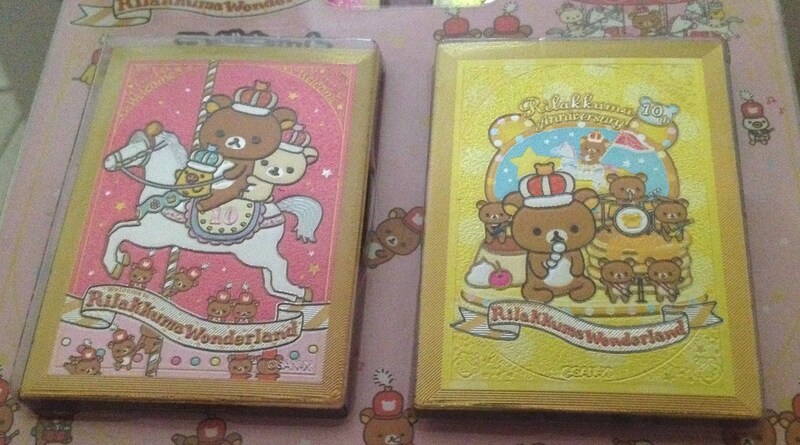 When I come across Rilakkuma Preorder’s facebook update that the major prizes for Rilakkuma Ichiban Kuji Part 29 Sure Win Lucky Dips are still available, I can’t stop myself from sending a private message to her and getting three more cards to try out my luck. 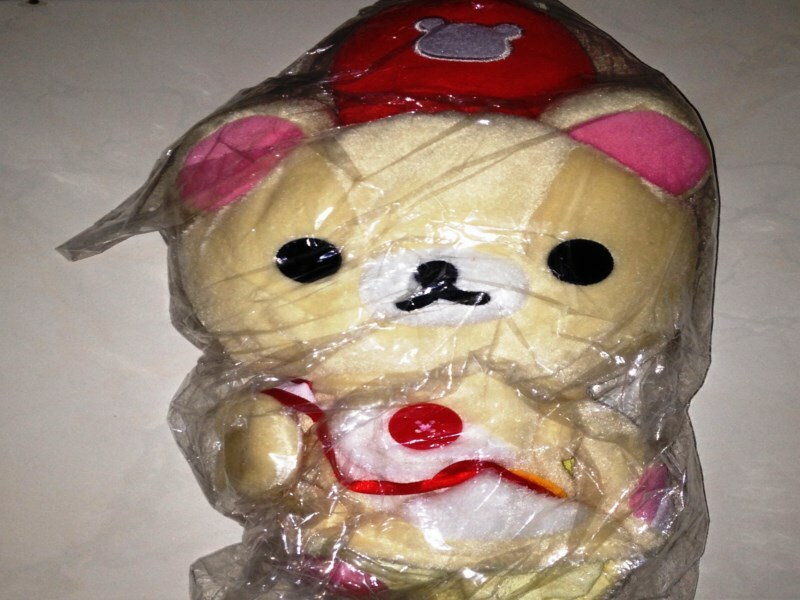 Like always, Rilakkuma Preorder was very diligent in posting out my items and I was so thrilled to receive the parcel in my mailbox within a mere three days. 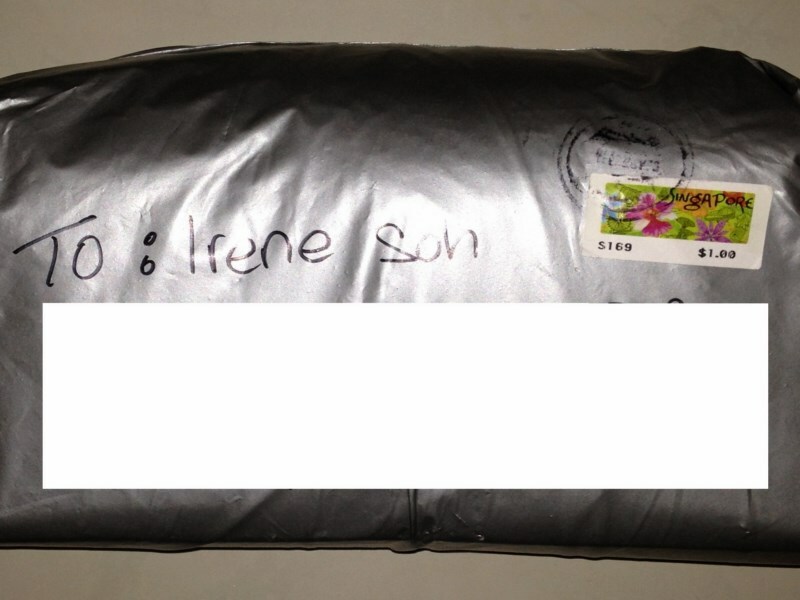 Maybe she know rilakkuma lovers like me can’t wait too long to see my goodies. Wanna make a guess what I won this time??? 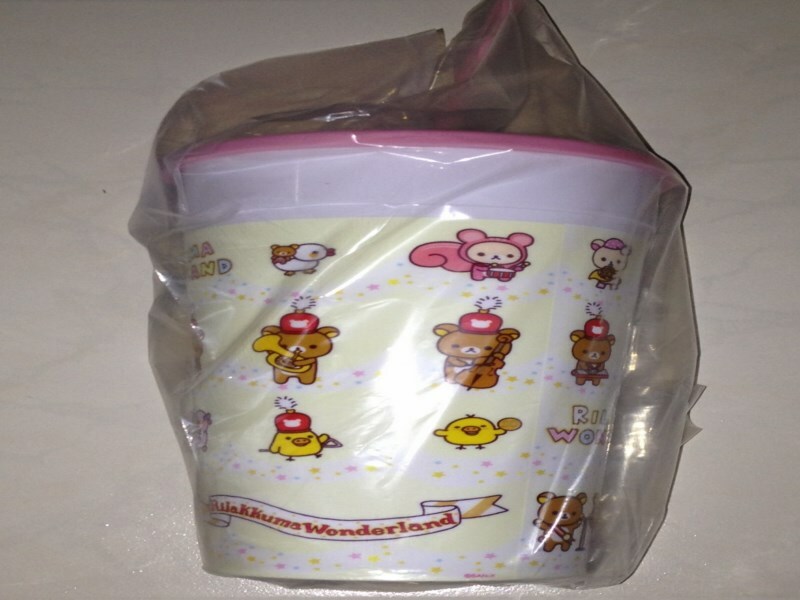 Next up is a rilakkuma tumbler, which I had also the luck to won two during my previous purchase too. I had given away one during lasy year’s christmas gift exchange and the other one was grabbed by my darling younger sister. So yeah, getting one more is kinda good for me too. But my greatest joy came when I was informed that for the last card that I purchased, I managed to get a Korilakkuma hand puppet. OMG! This is such a surprise… Never ever expect myself to win such a good prize. Korilakkuma chan now sits beside me whenever I use my laptop and also sleep besides me at night. After getting such a good one. now my hand feels itchy again and feel like buying more cards again… Should I ? Been wanting to get a portable drive but just could not decide on which brand to get. Am so being spoilt for choice by the various brands available in the market that are good in their own ways. 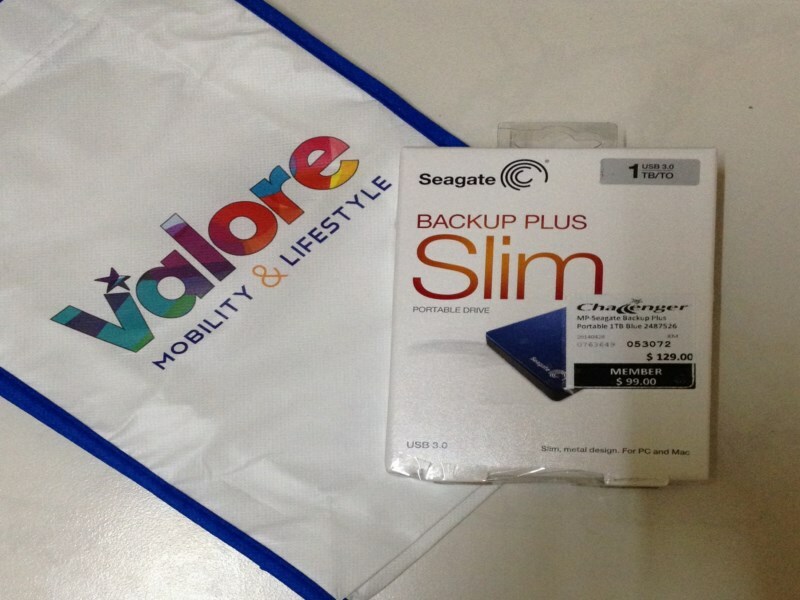 Brands like Buffalo, IOmega, Verbatim, Western digital, Seagate and many more… I really had a hard time deciding. 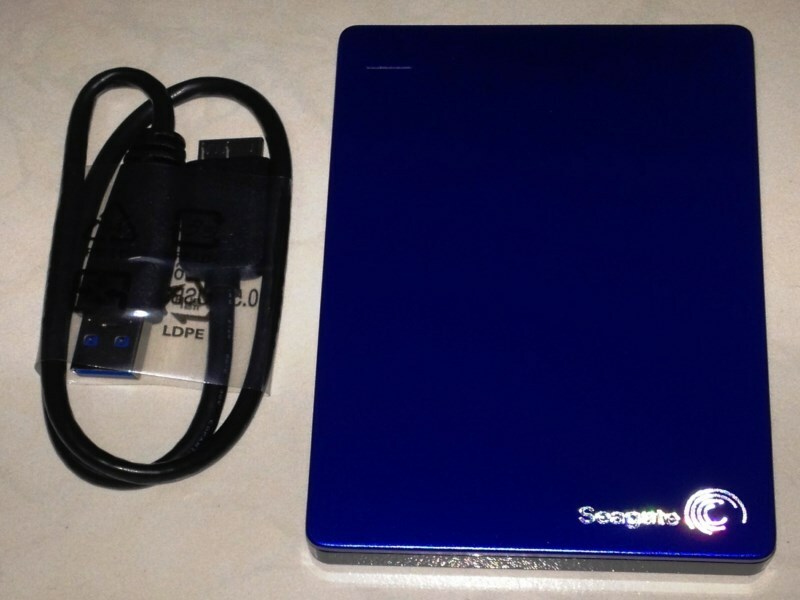 With voucher in hand and advises from all my good buddies, I’ve finally decided to get the Seagate Backup Plus Slim portable drive. Being a Challenger member, the drive cost me only $99. And after utilising the voucher, I only need to top up another $49 for this lovely babe. OMG! I finally bought myself a portable drive after so long. Thanks to all my buddies for the advise, especially my brother. He had been such a great help. And here comes my brand new portable drive and in my favourite color too. It really fits all that I expected of and even better. Am so happy with my purchase. Can’t wait to start storing datas inside. But wait, my brother is raving at me from the living room … Must perform a reformating and virus scan before using… Roger!! !